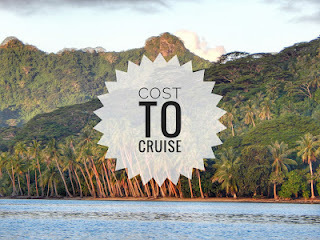 Each month we publish our cost to cruise as a family of four. Click on each month to see the detailed expenses. Is this the true Cost to Cruise? What about the income? Sponsorship and donations? I am looking into the so called cost to cruse but do not get a true feel for the actual cost. Income (which we don't have any of), donations, and sponsorships are not costs. What we post here are our actual gross costs (all of the money that leaves our account) to the penny and itemized. This is the actual cost of cruising in the truest sense. Great site and thanks for the cost of cruising segment. I lived aboard during 6th and 7th grade when my folks took us all cruising. Reminds me of the era of pioneers. Great way to live, I think. This is such a great resource thank you! We're planning to move aboard sometime in the next 12 to 18 months, and this is invaluable. Serious gratitude for your attention to detail right now! Hello, Thank for your blog. It is particularly inspiring since we also have two daughters that we are considering taking cruising in the future. I believe you came back to the states for some months before heading across the Pacific. Were the costs to cruise more than expected? Or was there another reason you took the break from sailing? I know that you mentioned that you don't have any income. Have you considered/tried to generate income while sailing? Thanks, again. We took a break from sailing to fill up the cruising kitty. With the anticipation that the South Pacific was going to be more expensive than Mexico we wanted some more cruising funds and to also add some items to the boat, which costs money. We're somewhat considering generating income while sailing..not sure what though. I am assuming this is US dollars. Maybe a silly question, but are these figures in USD? Curious as to what your costs during the months you were in the Sea of Cortez as I can't tell exactly when that was. That's when I discovered your videos and our pod is considering the Sea of Cortez as one of our first destinations when we finally get to leave the Port of Los Angeles. Congrats for your Sailing lifstyle and thanks for sharing your budget. It's valuable info. Interesting that there costs seem to go down when they get to the South Pacific...probably a lot more time spent at sea. We state that all costs posted each month are in USD.